Numbershare Mode: Used in conjunction with a companion smartphone, can be used to make calls when the companion smartphone isn't within Bluetooth range, or is turned off (maximum functionality). Companion Mode: Used in conjunction with a companion smartphone (moderate functionality). Modo "Standalone": Used without pairing to a smartphone (limited functionality). Ensure the Gear S3 is set up as a NumberShare device on the My Verizon website. Ensure the Gear S3 is charged and powered on. If necessary, tap the display to begin. Ensure the desired language is selected then tap NEXT. Download and install the Galaxy Wearable (Samsung Gear) app on the companion smartphone. Search for the app via your smartphone's app store. Open the Galaxy Wearable (Samsung Gear) app. Tap Gear S3 Frontier / Gear S3 Classic. From the Connect to Gear S3 prompt, tap OK. Ensure the passkey displayed on both the companion smartphone and watch match then tap OK (on both devices). To continue, review the Terms and conditions for each option and select as appropriate then tap NEXT. You can agree to all or either of the services (S Voice & Voice related functions, Find my Gear & Find my phone); however, accepting all the Samsung services improves your experience on the Gear. If presented, sign in or skip Samsung account setup. Turn the available notifications on or off as desired then tap NEXT. Follow this step on your watch to complete the pairing process: From the "All done! Activation complete." 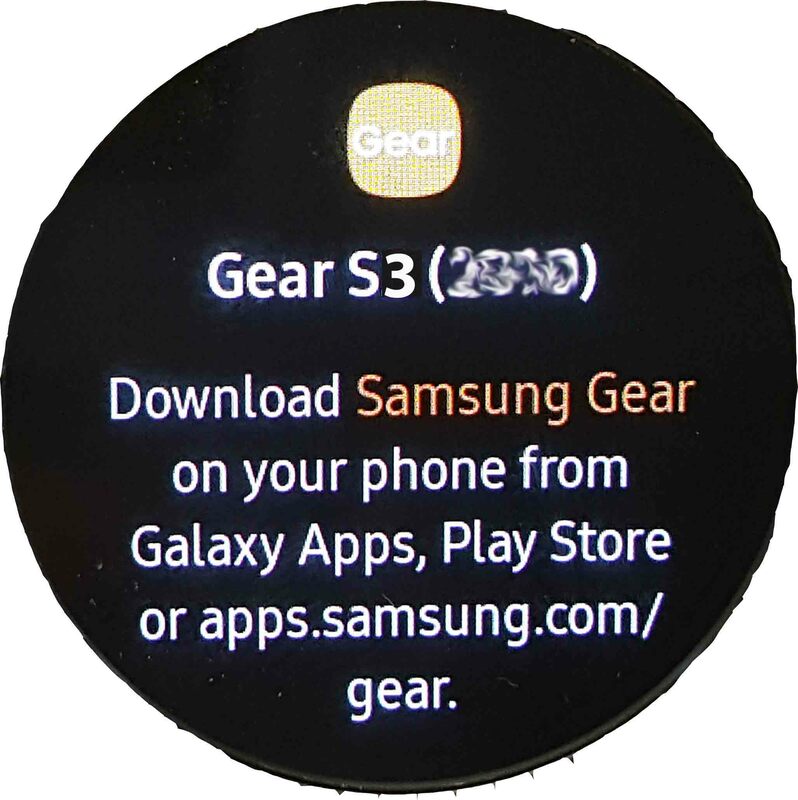 screen, tap OK.
Download and install the Samsung Galaxy Wearable (Samsung Gear) app on the companion smartphone. 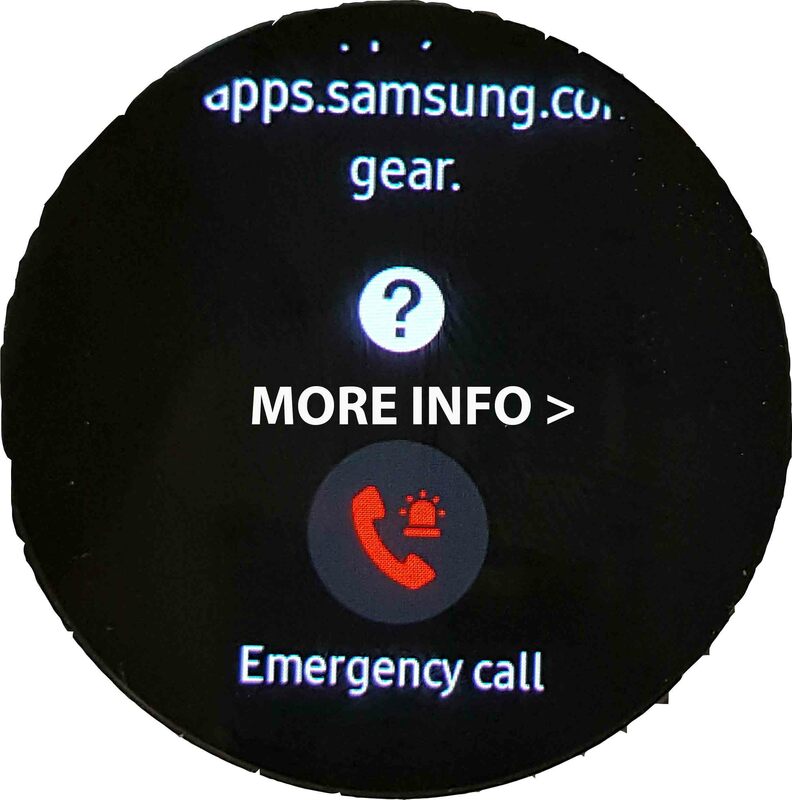 If the watch isn't provisioned with a mobile number, at the "Sorry, we're having trouble activating" screen, tap OK.
From the Gear S3 start screen, swipe up. Scroll to the bottom, then tap here (underlined, in blue). After reviewing the Terms and Conditions, ensure that Agree to All is checked then tap NEXT. Enter a 4-digit pin, then re-enter the PIN, then tap Done. At the "All done! Activation complete." screen, tap OK. If the device is not provisioned with a phone number, at the 'Your Gear number could not be activated' screen, tap OK.